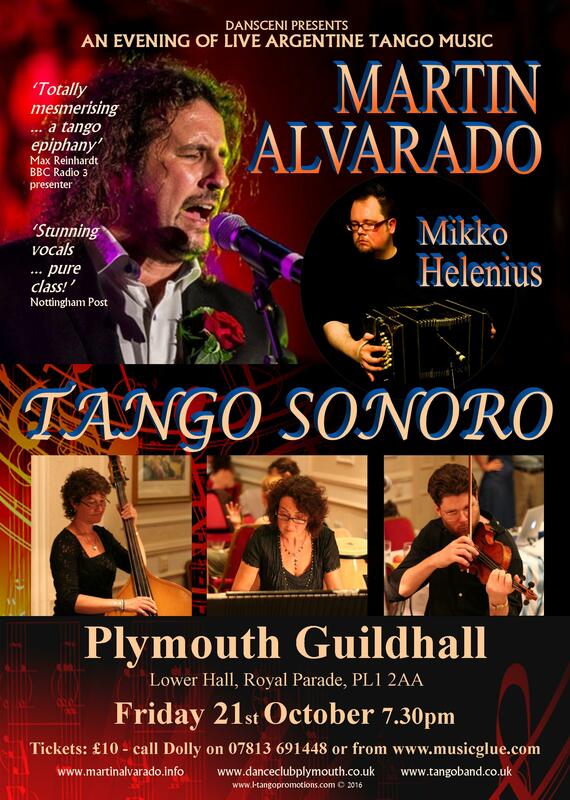 “Tango Sonoro surpassed themselves and with the Spanish male singer we were in heaven. More please of these versatile musicians”. V.L. 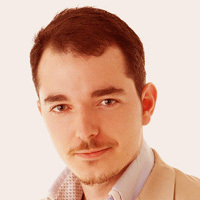 “Just wanted to say, what a great evening on Saturday. 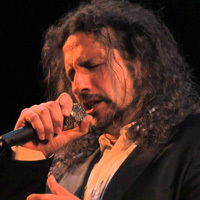 Thanks go to Tango Sonoro for the beautiful live music and to Damian Cortes for such a beautiful voice”. 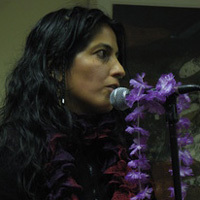 V.B. 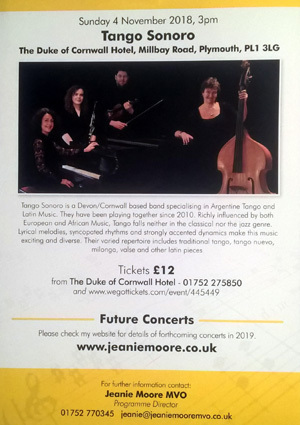 Noelle, Judy and Jonathan go back a long way as members of the Plymouth Symphony Orchestra and form the core of Tango Sonoro. Our backgrounds are mainly in classical music. 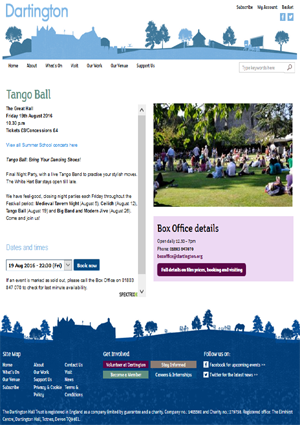 We have been playing Argentine Tango Music since 2010. 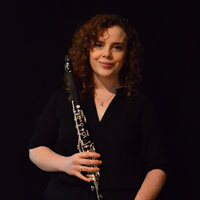 Recently we have been joined by Laura Deignan, who also played in the Plymouth Symphony for a while and who is currently studying for a degree in music at the Royal Welsh College in Cardiff. 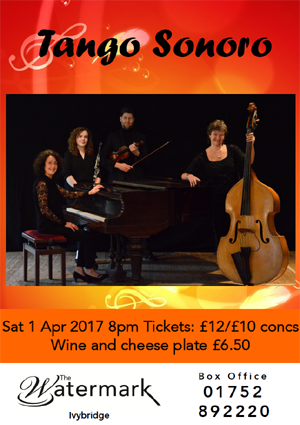 Whilst her instrument the clarinet is not usually associated with tango music, it is related to the bandoneon as both are reed instruments. 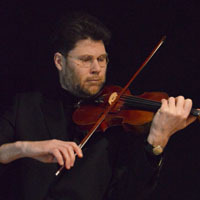 It compliments the other instruments and suits the tango very well. 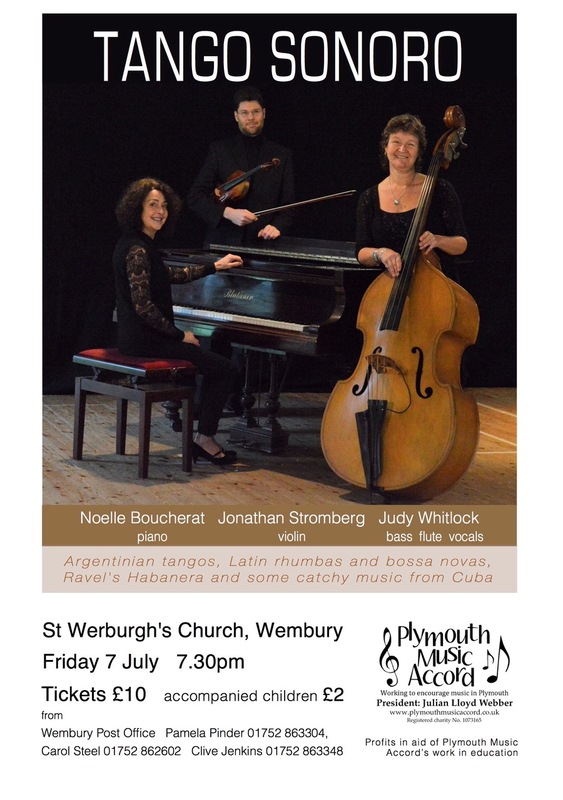 Argentine Tango is beautiful in its instrumental form, but when sung, it has yet more depth. 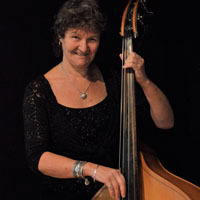 Tango Sonoro is lucky to have the versatile Judy Whitlock, who is able to play the double bass and sing at the same time. 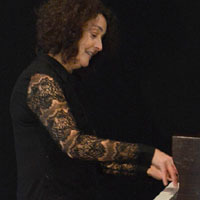 Many of our pieces feature both her playing and singing. 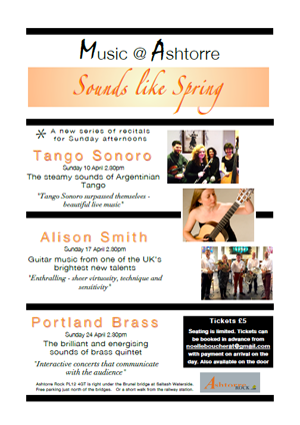 Tango Sonoro welcomes guest performers. Contact us if you would like to play/sing with us. 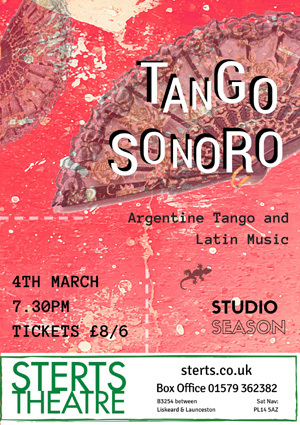 Tango is a style of music from Argentina and Uruguay that first appeared in the mid 19th century. 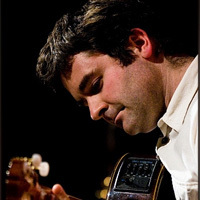 Richly influenced by European Immigrants and African Music it falls neither in the classical nor the jazz genre. 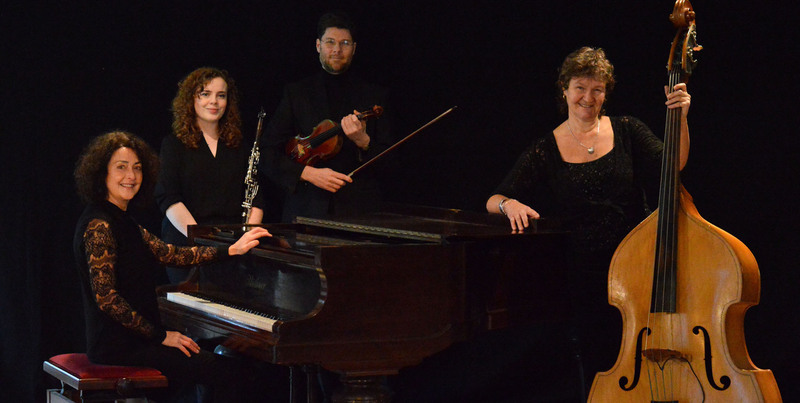 Lyrical melodies, syncopated rhythms and strongly accented dynamics make this music exciting and diverse. 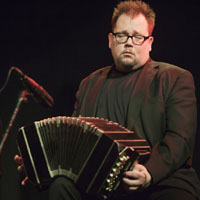 Most of the pieces played by us were composed during the ‘Golden Age’ of Tango Music (1930-50’s). 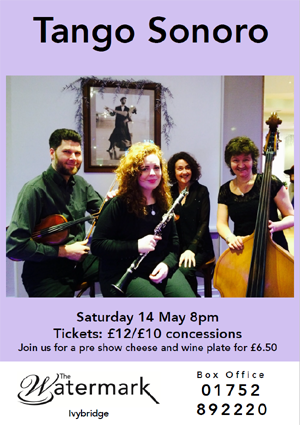 Our varied repertoire includes traditional tango, tango nuevo, milonga, valse as well as other latin pieces.